A private funeral Mass was held Thursday morning in South Boston for notorious gangster James “Whitey” Bulger. Members of his family, including his brother, former state Senate president William M. Bulger, and Margaret McCusker, the twin sister of Bulger’s longtime girlfriend Catherine Greig, attended the service at St. Monica-St. Augustine Church. A closed casket held the body of the 89-year-old Bulger, who was killed by fellow inmates last week, hours after his arrival at a federal prison in West Virginia. The Mass was offered “at the request of and out of pastoral care for the Bulger family,” Rev. James Flavin, pastor of St. Monica-St. Augustine Church, said in a statement. Bulger was convicted in 2013 of participating in 11 murders while running a sprawling criminal enterprise from the 1970s to the 1990s. He was serving a life sentence. All the mourners were packed together into the front rows of the church. Most of the other seats were empty. The Mass was described as a private service for family members only. 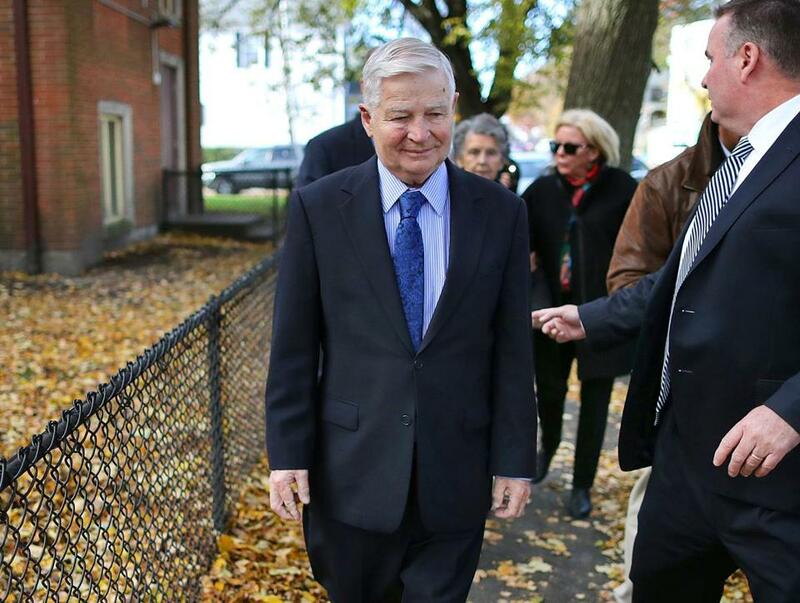 Hank Brennan, one of the attorneys who represented Bulger during his 2013 federal racketeering trial, also attended the service. McCusker said her sister, 67-year-old Greig, was not allowed to leave the Minnesota prison where she is serving a nine-year sentence, to attend the funeral. In letters from prison, Bulger described Greig, a South Boston native and dental hygienist, as the love of his life and said the 16 years they spent on the run together before his capture in 2011 were the happiest of his life. She was convicted of helping him evade capture, then of criminal contempt for refusing to testify against him, and is slated to be released in September 2020. Bulger was beaten to death in his cell at the US Penitentiary Hazelton in West Virginia on the morning of Oct. 30, hours after he was transferred there under questionable circumstances and placed in general population. Two organized crime figures from Massachusetts, who were captured on surveillance video entering his cell, are suspects in the slaying. But no charges have been brought. Investigators are trying to determine why the Bureau of Prisons changed Bulger’s medical status, indicating that his health had dramatically improved, even though he was in a wheelchair and suffering from a heart condition. The reclassification led to his transfer from a federal prison in Florida to the one in West Virginia, where he was slain. There was no funeral procession from the church to a cemetery. 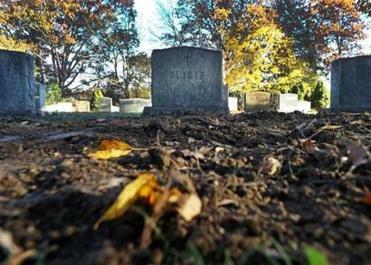 Burial was expected to be private. John Tlumacki of the Globe staff contributed to this report.